Feeding Nutritionally Improved Straw (NIS) with zero grazed grass has helped one Irish Dairy herd to boost milk solids at the same time as increasing yields, leading to more than a €700 uplift in milk solids per hectare, as British Dairying reports. 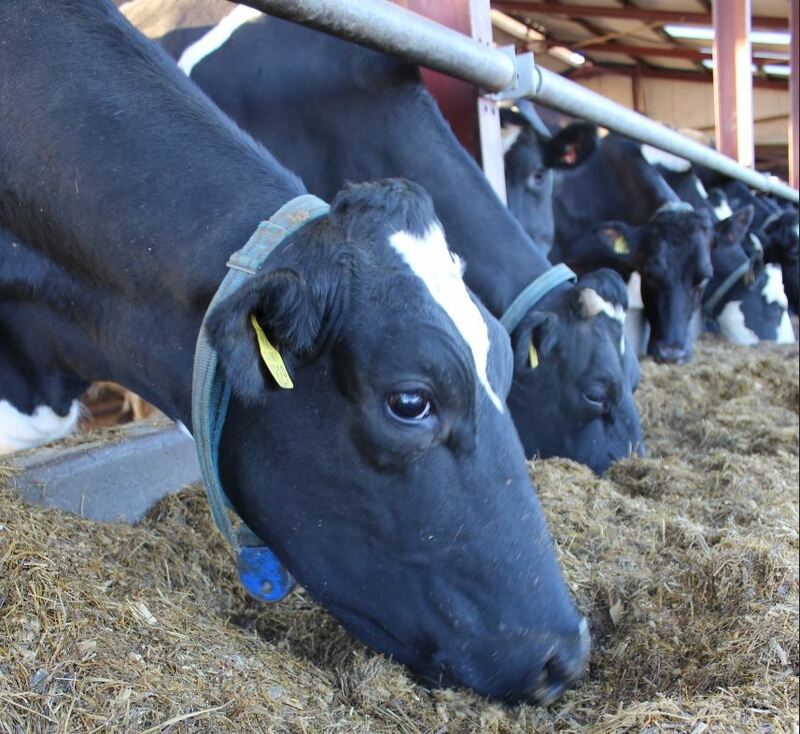 At Tintur Holsteins Dairy on the Cappoquin Estate, Nutritionally Improved Straw (NIS) has proved to be an essential factor in achieving their goal of maximising milk solids per hectare. NIS is a pelleted form of alkali treated straw. The alkaline treatment improves the digestibility of straw by 50%. The pelleting significantly reduces sorting, promoting a much more consistent ration. Since adding NIS to the diet in the 265 cow Holstein herd at Tintur Dairy, rumen health has improved markedly. This has helped increase dry matter intakes, whilst also enabling cows to utilise the ration more effectively. As a result, the herd has been able to respond to the farm’s push for more yield and milk solids, leading to a 20% increase in milk solids to 711kg per cow per year in 2017 (see table). Cow body condition has also benefitted, allowing the farm to cut protein levels in the cake by over 1%. In 2015/16, the picture was completely different. That year, herd manager, Roger Barkley had decided to cut and bale fresh grass and feed straight to the cows after silage stocks ran out following poor weather and high stock numbers. So taken was he by the system, that he chose to fully implement zero grazed grass in the belief this would make better use of the farm’s grassland. Roger Barkley has seen improvements in rumen health, ration utilisation, butterfats and body condition since introducing NIS to diets. The cows were happier and we were getting more forage into them and they were milking very well, but we needed to boost butterfats. However, although dry matter intakes, yields and proteins rose on the new system, butterfats dipped to a low point of 3.53% in 2015. With a minimum of 3.65% butterfat required on his Glanbia contract and bonuses available for constituents, Mr Barkley was keen to rectify the problem. 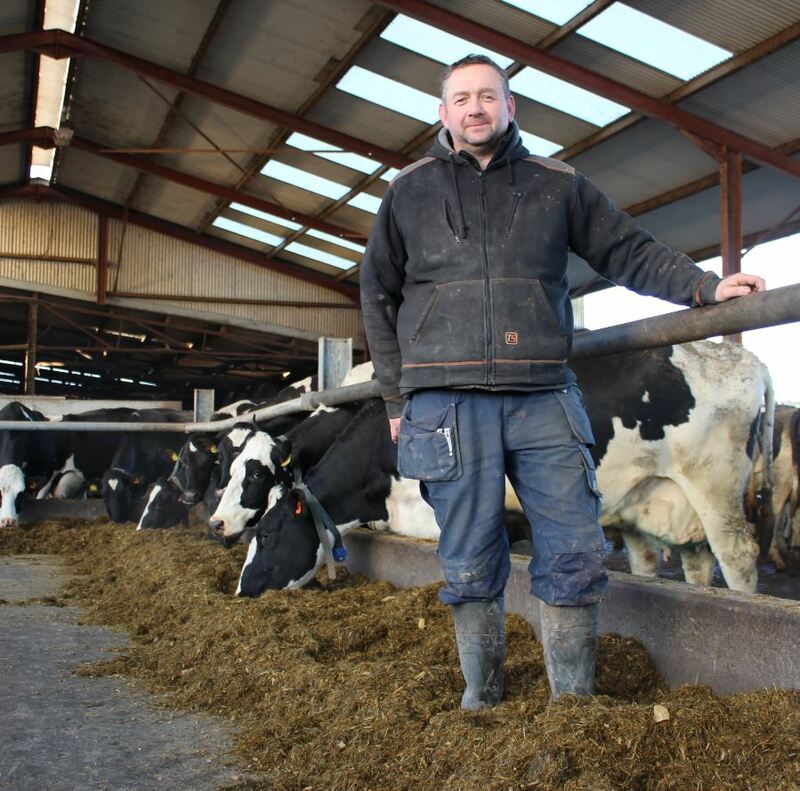 “The cows were happier and we were getting more forage into them and they were milking very well, but we needed to boost butterfats,” he says. Consequently, the business decided to use a contractor to chop straw to 4.5-5cm. This was included in the ration at about 3.5kg a head a day. However, this was not only costly, it was also leading to sorting and reduced intakes, with about 10% of straw wasted at the end of the day. The team also tried mixing a porridge of straw, concentrate and water and feeding it on top of the fresh grass, but sorting was still a problem. As a result, cows were showing signs of poor rumen health, which was having long-term impacts. As a result, Mr Barkley believes he was having to feed about an extra 0.5t of concentrate/cow at the back end of the season to put body condition back on. This was also having a negative affect on fertility which is a crucial factor in the herd. 60% of cows calve January to February and 40% in the autumn to fulfil a specific contract. 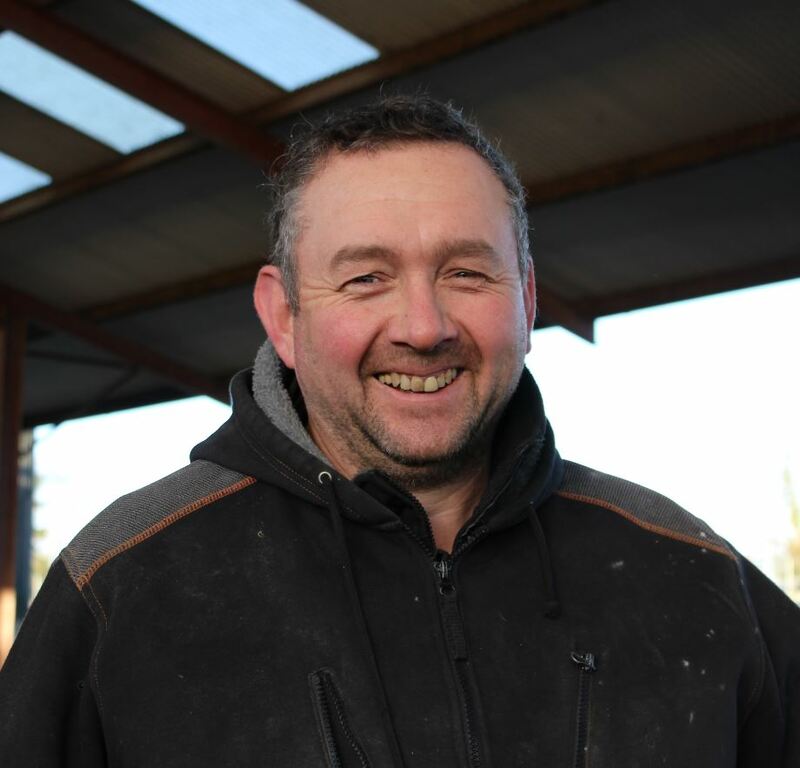 “We had a lot of scouring cows and issues with feet and legs and embryonic losses at around 50-60 days in to pregnancy as they were taking in high protein grass and not utilising it due to the acidosis,” he explains. Milk ureas were also low, suggesting poor energy balance. These issues are commonly seen on farms during the peak grass growing period. The lush, rapidly digestible grass at this time produces a poor rumen mat, leading to high rumen flow rates if insufficient effective fibre is added as a buffer. This causes low ration utilisation and subsequent issues with reduced dry matter intakes, loose dungs, low constituents, body condition and fertility. 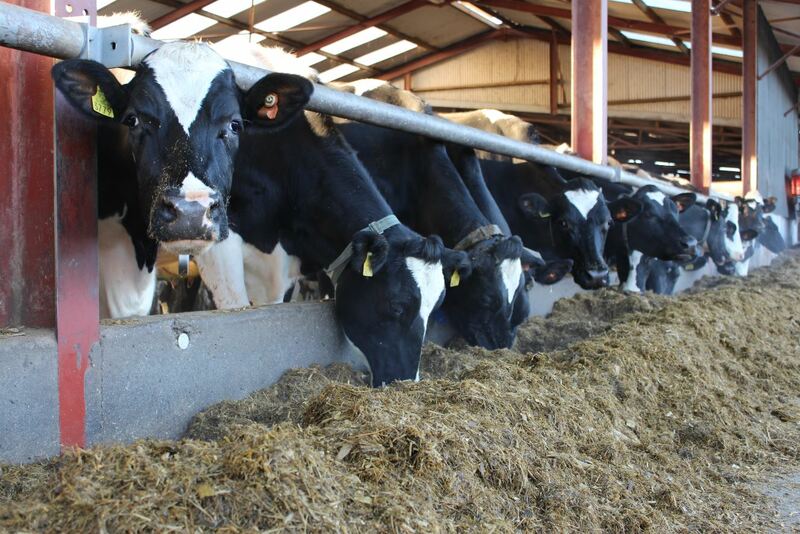 As the fibre in NIS is a ‘slow pool fibre’ that is digested slower in the rumen, by adding it to a diet which is low in effective fibre, the cow is able to make better use of the ration, leading to marked improvements in performance. With this in mind, in September 2016, Mr Barkley made the decision to take out the chopped straw and feed 2.5kg of NIS. The impact was almost instant. The bubbly pea soup (loose dung) finished within two days and gradually the solids started to improve and cows stopped losing condition. It’s been a very good, up hill experience ever since. It’s very visible on our milk production graphs, at milk recording and very visible on our milk cheque. NIS is fed throughout zero grazing which runs from the end of February until mid December, depending on conditions. During this time, Mr Barkley will vary the level of NIS in the diet depending on weather conditions and grass quality each day. For example, on wet days, when grass is lush or there’s lots of clover in a field, more NIS will be incorporated. “I walk the high yielders daily and look at the dungs, if they’re too firm, I reduce NIS and if it’s too loose, I’ll increase NIS. I can go up and down by 0.25-1kg weekly,” Mr Barkley explains. Cows are split into low and high yielding groups. A typical high yielding diet will include 15-16kg zero grazed grass, with 3kg NIS, 8kg of blend and 14kg of water fed as a TMR, topped up with parlour feed on a feed to yield basis. Now, wastage is a thing of the past, with cows “licking clean” the passageway within three hours. 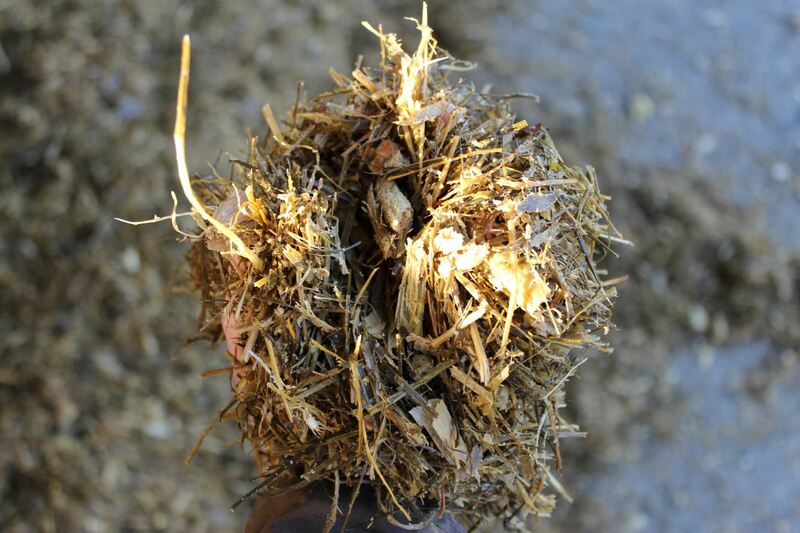 “The difference with NIS and chopped straw is that straw dries out – even with the water – so you get reduced intakes. 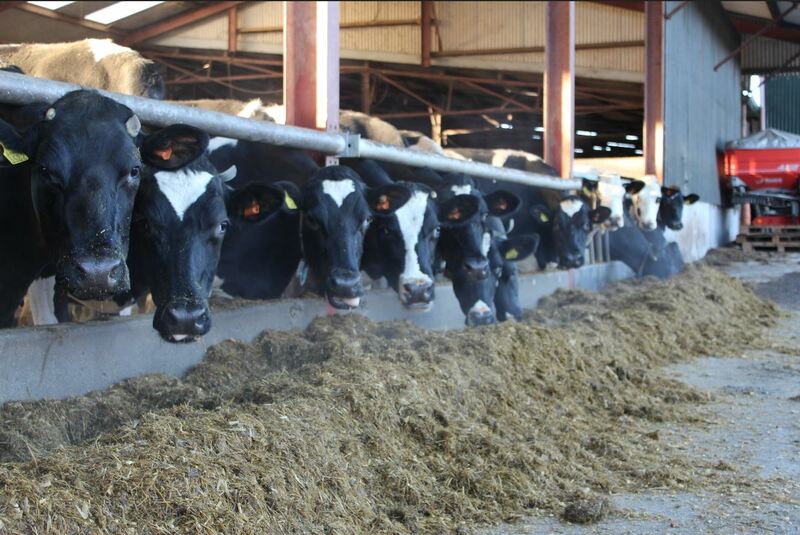 With NIS, it mixes in with the water like a meal and it doesn’t take up so much valuable rumen space,” Mr Barkley adds. Butterfats are now consistently above 3.65% with the herd hitting an average of 4.13% in 2017. Yields are also up. Mr Barkley highlights that forage quality was much better in 2017 than 2016 and that the business has been feeding to push production. However he believes the NIS has enabled the cow to use the ration better, enabling the herd to achieve 711kg MS/cow in 2017. This means overall production has increased, despite the unit milking less cows and using less land. He is also convinced that improved cow health will impact on fertility, with cows already showing stronger heats. He is so sold on the benefits of NIS, that this winter he has chosen to continue feeding 1-1.5kg in the winter ration. This is mixed with chopped fodder beet to “soak up the juices” effectively and avoid wastage. The farm has continued to feed NIS in the winter diet having seen the benefits from using it to complement zero grazed grass. There has been a 20% improvement in milk solids a cow since feeding NIS.